A new analysis is shedding light on the earth's first macroscopic animals: the 570-million-year-old, enigmatic Ediacara biota. Ediacaran fossils have a slightly bizarre appearance not shared by any modern animal groups. For decades, researchers believed these enigmatic fossils were ecologically simple. However, borrowing a method from modern ecology – fitting species to relative abundance distributions – Vanderbilt University paleontologist Simon A.F. Darroch and his team learned that these organisms were more like modern animals than once thought. "The main impact of our work was testing between the simple and complex models for Ediacaran ecosystems," said Darroch, an assistant professor in Vanderbilt's Earth and Environmental Sciences Department. "Supporting a simple model would suggest that these mysterious organisms were universally primitive, sharing the same basic ecology and all competing for the same resources," he said. "Support for the complex model would instead suggest that they likely competed for a variety of different resources, just like modern animals. Our analyses support the complex model, illustrating that – even though they may look bizarre – these mysterious fossils may have far more in common with modern animals than we thought." Their paper, "High ecological complexity in benthic Ediacaran communities," is available online today in Nature Ecology & Evolution. 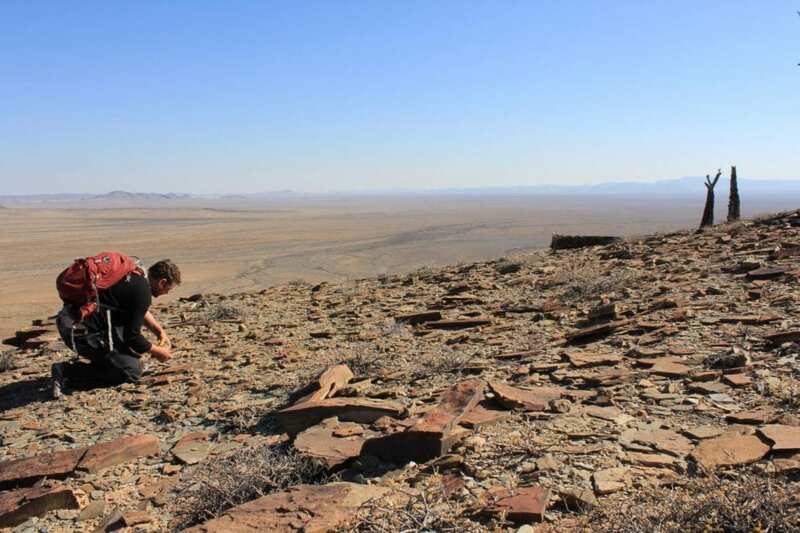 The fossils formed one of the few simple communities in the analysis, suggesting that these organisms were ecologically stressed. That lends support to the idea that the Ediacara biota were gradually going extinct in the run-up to the Cambrian explosion. Although it's an exciting idea, Darroch said, it's only one data point and will need much more research to prove. The team is also using 3D modeling based on the fossil record to better characterize Ediacara biota, which completely disappeared 540 million years ago – as early arthropods, mollusks and sponges began to appear. Their work is funded by a Smithsonian Institution Peter Buck Postdoctoral Fellowship and a National Geographic Society grant (9241-13).